Clark University’s Peace Studies Program will host the 9th Worcester Community Peace Fair on Sunday, April 22 (Earth Day), from 1:30 p.m. to 5:30 p.m. on the Campus Green (rain location is Tilton Hall, 2nd floor, Higgins University Center). The Fair, which was held annually from 1985 to 1992, served as an event where community members and students came together to learn about, discuss and celebrate peace. Clark is bringing this honored tradition back to the Main South community in an effort to examine individual, community and global sources of peace and violence that apply to the daily lives of Worcester residents and students. The fair will include a speech and workshop, peace-themed activities and games, an art exhibit, and displays that will show the public how organizations and individuals in our community are promoting peace both locally and globally. View images of the fair via the Worcester Telegram online. David Adams, former director of the United Nations Educational, Scientific and Cultural Organization (UNESCO), will deliver a public address at approximately 2:15 p.m. After his speech, Adams will lead a workshop on how to become a reporter for the International Culture of Peace News Network (CPNN), a grassroots, self-sustaining, tri-lingual news network. The workshop will be held in Grace Conference Room, first floor of the Higgins University Center, 950 Main Street. 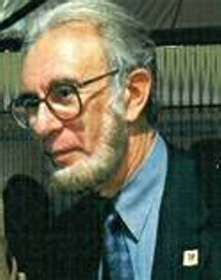 Adams retired from UNESCO in 2001. He designed their Culture of Peace Programme and directed the Unit for The International Year for the Culture of Peace (designated by the United Nations as the year 2000) with the aim of celebrating and encouraging a culture of peace. At UNESCO, Adams’ responsibilities included development of national culture of peace projects, research and development of the culture of peace concept and training in peace-building and conflict resolution. Prior to joining UNESCO, Adams served on the faculty at Wesleyan University for 23 years. The following individuals and groups will be running interactive, informational displays at the Peace Fair: Jude Fernando, associate professor of international development and director of Clark’s Peace Studies Program; Sam Diener, visiting professor of peace studies; Clark students; Peace Concentrators from The College of the Holy Cross; Clark PeaceWorks; Speakers Forum; Fair Share Alliance; International Student Association (ISA); Interfaith Action Clark; and STAR. Individuals from the Center for Nonviolent Solutions, VegWorcester, REC Worcester, and the Peace Abbey are also participating. The fair will feature entertainment by local Worcester bands and vegetarian and vegan foods from VegWorcester, REC, and PeaceWorks. “Because the Fair is being held on Earth Day, we are hoping to collaborate with environmental groups on campus to make a ‘Peace on Earth’ theme that will highlight connections between peace and environmental sustainability,” said Katie McGonagle, a Clark senior majoring in International Development and Social Change. “We hope that, through this programming, Clark’s Peace Studies Program will help to promote a culture of peace locally and internationally,” said Professor Fernando. The fair is free and open to the public. It is sponsored by the Clark University Peace Studies Program, Speaker’s Forum, Interfaith Action Clark, and The Concentration in Peace and Conflict Studies at The College of the Holy Cross. For more information, call 508-793-8859 or email PeaceFair2012@gmail.com.